Famous for her iconic voice and unique sense of humour, Mary Mounib was one of those Egyptian actresses that left behind an immortal legacy. For years to come, her roles will remain engraved in the memories of generation after generation. Mary Mounib was born on 11 February 1905; this would have been her 114th birthday. The legendary actress was born to a Lebanese family, but she lived and was educated in Cairo ever since she was a young girl. She got her big chance in the industry by joining the Rihani Ensemble in 1934, founded by the legendary comedian Naguib El-Rihani. While she started working in the industry early, Mary Mounib’s real success came at an older age when she began taking roles as a mother. With her unique voice and one-of-a-kind laugh, Mary Mounib was a mother-in-law from hell that you couldn’t help but love. 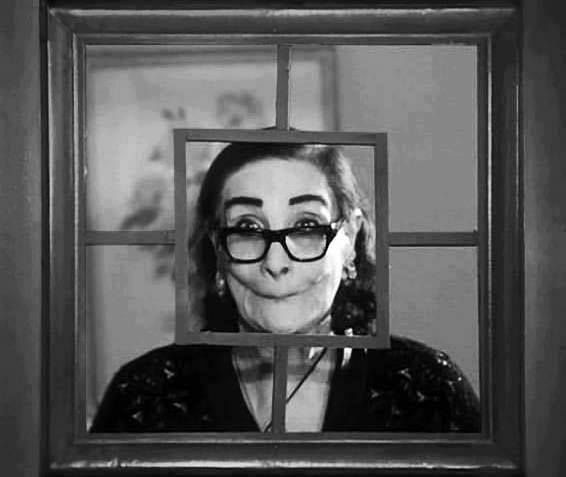 She was famously known as the funniest mother-in-law in Egyptian cinema, and consistently had similar roles that would always be great successes thanks to her lovable personality and immense talent as an actor. But you probably know all of that, so what about the things you don’t know about Mary Mounib? 4. After the tragic death of her father, the joyful actress faced another tragedy when her husband left her to marry another woman. 5. She later got married to lawyer Fahmy Abdel Salam, the ex-husband of her late sister. 6. Soon after her second marriage, Mary Mounib announced that she had become a Muslim, changing her name to Amina Abdel Salam, once more taking her husband’s last name. Mary Mounib will remain in the memory of all Egyptian cinema lovers as an all-in-all brilliant talent, and no actress will ever come close to her perfect portrayal of a mischievous, yet lovable, mother-in-law.